AFTER NINE YEARS of Big Surveys (not to mention a couple hundred Brain Squad surveys), could we possibly have anything left to ask America’s independent jewelers? Oh yes. Lots! Like, how much case space do you have? What’s the state of your retirement plan? And what’s the last thing that made you smile? It’s all here. And plenty, plenty more. Enjoy! As usual, we start with the questions a speed dater might ask: “What do you do?” “Where do you come from?” “What’s your top line?” And, “Tell me something about yourself in 12 words or less.” Intrigued? It gets better when we start doing cross-tabulations with this information later in the survey. 1. In what state is your (main) store located? COMMENT: We came close this year to blanket coverage of the country with responses from all but two states and a certain federal district. Rhode Island, West Virginia and DC, come on! You’re letting the team down. 2. In what region is your store located? 3. How many stores do you own? 4. Which description of your business do you most closely identify with? 5. Which category is your strong point? 6. What is your (main) store’s location? COMMENT: Custom design continues to edge higher. When we first asked this question in 2007, 89% of jewelers said they offered it. By last year that figure had climbed to 94%. David Geller, author of the Geller Blue Book on repair pricing sees the upward trend positively. “Young buyers (as well as boomers) like to have it ‘their way’ and are willing to pay for it,” he says. Which is a good thing. “Custom design is easily two to three times higher than showcase sales. Just takes more expertise,” he says. 8. How big is your (main) store? 9. How would you describe the market where your store is located? 9. What is your store’s tag line? This is the engine room, where fortunes — and reputations for business-savvy — are made and lost. How did our jewelers do? Not bad overall, but in many areas they lag the wider industry, and lack awareness of financial indicators. 11. What were your total sales last year? COMMENT: As the blue shading from this year’s Big Survey shows, there has been a creep higher in store sales since 2010. But industry analyst Ken Gassman says sales are still low compared to the majors, at about half the level of a typical Kay store. “They will say, ‘I don’t compete with Kay because I’m local and Kay is a chain. But they do compete with Kay, Zale, Tiffany, etc.” David Brown, president of Edge Retail Academy, notes that with over half the stores doing less than $1 million in sales a year, most are likely “marginally profitable” at best. Respondents with more than one store were asked to provide an average in total sales. 12. For every 100 bridal rings you sell, how many do you sell in each metal type? 13. Jewelry in the headlines: Which of the following jewelry do you carry? 14. At what point do you mention lab reports in the sales presentation? 15. How much selling space does your (main) store have by square footage? 16. How much do you spend on inventory every year? 17. When you take on a new vendor, what is your typical starting investment? COMMENT: David Geller notes that it is important to have enough selection for the customer, which at the lowerdollar bands here is unlikely. “You’d also want sales after one full year to be about double your investment,” he says. 18. How many vendors do you carry? COMMENT: When it comes to vendors, “fewer means better deals and better terms and return policies,” says Geller. 19. What are your sales per running foot of showcase (not per square foot)? 20. What is your gross margin per foot of showcase space in dollars? COMMENT: “Disconcerting” was how display expert Larry Johnson described the high percentage of jewelers who didn’t know their sales per running foot of showcase, or the margin on those sales. “It takes 30 seconds to do the calculation,” he notes. (See the blue box.) “This resulting number provides the store owner with a more manageable way to answer several questions and take specific action. Am I giving too much (or not enough) showcase space to that category or line? Johnson urges jewelers to view their store as several little stores — a bridal source, a fashion location, a gift shop, a service facility — under one roof, and try to improve each one. “The best way to grow your store is 1 foot at a time. Try it and you’ll be surprised at the difference,” he says. 21. What is THE MOST EXPENSIVE ITEM that you have in your store right now, and how much is it worth retail? 22. What are the three best-performing watch brands that you carry? 23. What jewelry or watch brand would you most like to add to your cases? 24.What’s your favorite innocuous qualifying question? When it comes to qualifying questions, most jewelers seem to be advocates of the low-key approach; over two-thirds of those who answered this question simply ask a version of “What brings you in?” or try to get their interrogation going with a simple “Hi.” There was also a sizeable portion (about 2 in 10) who straight up ask how much the person plans to spend with an inquiry such as “Did you have a budget in mind? ➤ Did you want to be closer to $10 or $100,000? ➤ How much do you want her to thank you? ➤ Are you looking for something that will make your friends wonder if you won the lottery, or just if you got a promotion? ➤ Is this a big bling event or a little bling event? ➤ Tell me about some of the other jewelry you have bought. ➤ Tell me what jewelry she already has. ➤ Are you shopping for a special occasion? ➤ What are you celebrating? Who are you celebrating? ➤ How big of a doghouse key are we looking for? ➤ What kind of trouble are you in? ➤What did you do now? ➤ How do you like this one? Is it too big, too small? 25. Have your margins widened or narrowed on the following categories compared with three years ago? COMMENT: The narrowing margin on diamonds is unlikely to surprise any living jeweler in America. Silver is interesting because unlike diamonds, the market is not very transparent, notes David Geller. “No one knows what things cost and being there’s no Rap list for silver, margin is high,” he says. Bead makers like Pandora have also done a good job training consumers to pay more for jewelry made of the metal. 26. What are the three best performing jewelry lines that you carry? 4 MENTIONS: Berco, First Image Design, Forevermark, Lagos, Mariana, Mark Schneider Design, Naledi, Parade Design, Todd Reed, Victor Corp. There seemed to be so many glum headlines about the industry this year that we had toyed with the idea of giving this survey a feel-good theme. It didn’t quite pan out that way, but we still uncovered lots of data to bring a smile to your face. It’s almost hard not to, when you ask jewelers personal questions. 27. In what country were you born? COMMENT: We had thought the very international nature of the jewelry industry would be reflected at the retail level. How wrong we were; only 5% of the respondents were born outside North America (and true to our high school geography teacher, we’re including the three born in Mexico in the continent). 28. How old are you? COMMENT: After rising steadily for seven years, the rough age of the jewelers in our surveys levelled off over the last 12 months, with 70% reporting the were 50 or older. That compares to 71% last year but is still up significantly from just 50% in 2007. Our take: The improving economy is allowing some jewelers who held on after the recession to finally retire. 29. How many generations has your family been in the jewelry business? COMMENT: Longevity has its advantages. Only 17% of firstgeneration stores are doing $1.5 million or more a year in business. That rises to 22% for second-generation stores, 38% for third-generation stores, and 33% for fourth-generation stores before topping out at 58% for stores that have lasted into their fifth iteration. There is, of course, no guarantee that the longer you stay in business the more you’ll make. Almost one in five of the fourth- and fifth-generation stores, mostly in small towns, are doing less than $500,000 a year in sales despite all those years in the business. 30. How much did you personally sell last year? 31. What is your gender? COMMENT: 38% of women owners reported store sales of more than $1 million a year. That was up impressively from 30% three years ago. In contrast, the proportion of men running $1 million stores has actually fallen, from 46% in 2012 to 43% this year. 32. On a scale of 1-10, how weird are you? 33. If you wear an activity tracker, about how many steps do you take during a typical work day? 34. Have you or your store ever been sued for a business-related matter? COMMENT: The 18% of jewelers who reported being sued represents a small number compared to their peers in the wider business-owning world. According to a 2012 study by Bolt Insurance Agency, the figure for all small enterprises is closer to 35%, and it is rising every year. There are a number of things you can do to avoid litigation. Among them: implementing legally watertight procedures, talking to a lawyer about potential time-bombs, using contracts for every transaction and buying insurance. 36. How close are you to realizing your ambitions for your business? Moving in the right direction, but there’s still a long way to go. I’ve done it. Lay out the laurels, I’m ready to rest. 37. What one lesson would you like to have been able to share with your younger self? ➤ It will be more work than you will ever imagine. ➤ No matter how hard you work, someone is working twice as hard to take it from you! ➤ Always do the right thing even if you lose out because it will come back to you. ➤ Never undervalue your experience and reputation. ➤You will never know from day to day what drives people to your store. ➤ Spend time with people who bring out the best in you and who you wish to bring out the best in. ➤ Don’t lease a store next to a dog-grooming business. ➤ Other people will try to tell you how to run your business. Follow your gut, and ignore their objections. ➤ Customer service is rarely a black and white subject. ➤ Don’t take the numbers as your benchmark for success or security. Use client loyalty and repeat business instead. ➤ If you do not know the answer, say so and say you will find it out. No bull. ➤ Don’t take in a business partner who is married and with whom you’re having an affair. It makes it really hard to get rid of them later. ➤ Open your own business rather than take over your parents’. ➤ When things are good never get too high and when things are bad never get too low. This is such an up-and-down business you can’t let it get to you. ➤ Advertise. a Correspond more. There isn’t time to do it, but do it anyway. ➤ Find your niche. You can’t be everything to everyone. ➤ Concentrate on only one to three changes a week. ➤ Don’t compare your insides to other people’s outsides. ➤ Be patient and give it time to grow! ➤ Don’t be afraid to price things according to the market, not what they cost you. ➤ Buy less. a Increasing inventory doesn’t mean increased sales. ➤ Don’t under-price your knowledge and service. ➤ Run lean. Plan for slow times. ➤Know the importance of turnover. ➤ Work harder on getting the right people on your staff. ➤ Fire an employee as soon as you sense they are unhappy working for you. ➤ Anyone can be replaced. ➤ Never trust your employees! ➤ Don’t stress the small stuff. ➤ Lighten up. You can’t control everything. ➤ Stop taking everything so personally. Business is just business. ➤ Start playing guitar. It’s a great outlet for stress relief. ➤ Make the store a business and not a job. ➤ Don’t make the store me! a Get it all done in 40 hours. ➤ Negotiate, relax and have fun. The worst anyone will tell you is no. ➤ Spend more time with your kids as they are growing up. ➤ Pay yourself first and save for a rainy day. ➤ Contribute the maximum to your 401K. 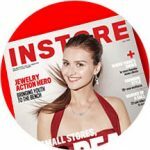 ➤ Take GIA certification at 21! ➤ Go work for someone else before opening your own store. ➤ Learn as much as you can about the financial side of the business. ➤ Learn stronger negotiating skills. ➤ Get a background in advertising. ➤ Someone’s always better than you at something. Ask questions and learn something every day. ➤ Go big or go home. $10K is not a lot of money to invest in business. ➤ Take the chance when it’s offered. Don’t overthink things. ➤ Don’t be scared of breaking the status quo. ➤ Don’t let anyone tell you that you can’t do it. ➤ Just ask the girl out. ➤ Serve the customer, not yourself. ➤ Start with the high end right off the bat. ➤ Managing people is harder than you think. ➤ Never ever attend a customer halfheartedly. ➤ Never assume anything. a Shut up and let the customer talk. ➤ Silence is part of the sale. ➤ Always take a down payment on a special or custom order. ➤ Recognize that it is OK to say no. ➤ Don’t let people push you around. ➤ Don’t put so much stock in what other people think. You know more than you think you do. ➤ Get out and get involved in the community. C.Y.A. ➤ Trust but verify. a Write it all down — all of it. Describe it very well. ➤ Don’t sign a contract unless you read it first. 38. What was the last thing – no matter how small — that brought a smile to your face in the store? Here are several that brought a smile to our faces as well, in no particular order, from the almost 400 submitted. ➤ Donuts 30 seconds ago. ➤ Explaining that our “Must Go Sale” referred to the inventory, not Fred and myself! ➤ My printer came back online . ➤ About five minutes ago Meghan Trainor’s All About That Bass came on our playlist — so we cranked it up and had a mini dance party! ➤ Someone saying, “You saved me” after we replaced something she lost of her daughter’s and didn’t tell her about. ➤ A really great, unsolicited Yelp review. ➤ My business partner coming in the store with two traffic tickets! ➤ A high school classmate came in and said he used to stare at my short shorts! I’m 61! ➤ A guy told me a very fine moonstone looked like dried Elmer’s Glue to him. ➤ Finding that small piece of lost wax where least expected. ➤ I had a woman come in to get her ring sized and she left her purse and when I ran after her she was pleased and thanked me. That made me smile. ➤ Recut a customer’s diamond, and when she saw how much more beauty it now had, she cried. Watched a pain in the rear shopper exit my store. ➤ When a couple kissed as they picked out their engagement ring. Brings a smile to my face to see couples so in love. ➤ Our canine sales associate kissing a baby in a stroller today, then stealing his pacifier! ➤ Yesterday, out of the blue, my wonderful old jeweler dropped by my store to meet me! ➤ An excited middle-aged woman picking up her first-ever engagement ring Person getting really excited about a new James Bond watch today. ➤ The rings we got in from Fitzgerald Imports of Boston. Their gemstones are just spectacular. ➤ Today: A text from our manager stating how much our new sales girls are selling while I’m on the golf course. ➤ A little kid buying a Mother’s Day gift for his mom as Dad slid me the rest of the money owed. ➤ Seeing an engagement ring customer back for a baby present when I returned from lunch. ➤ A customer spoiling his wife on her anniversary. ➤ The look on my puppy’s head when I tossed a soft toy and hit her on the head. ➤ A retired gentleman who was giving my son-in-law (jeweler) a hard time. ➤ A customer came in because of an email I sent. ➤ My 13-year-old daughter knowing the POS, and confidently selling a customer. ➤ While I was working my wife hugged me from behind and kissed me. ➤ One of my salesgirls checking out a customer. ➤ When an employee mentioned that the scanner for our point of sale isn’t working and then realizing 15 minutes later that it was unplugged! ➤ When someone farted in the sales meeting (brought a smile to my face and tears to my eyes). ➤ Completing a storewide inventory — and finding every item was reconciled. ➤ Completing a very complicated ring for a great customer. 39. When do you feel most engaged or in the flow at work? When I am with a customer and we are talking and laughing and we have so much fun that we feel like we’ve known each other for years. It happened the other day. My jeweler said, “Did you know that lady?” Nope! When I overcome that Internet diamond buyer and they finally get it and buy from me. (Cue the angels singing.) e When I’m helping a customer get what they want. When everything at the bench is FLOWING LIKE BUTTER! When we are busy and there are not enough hours in a day to get everything done. When it’s slow, I drive myself nuts. When the money is coming in. I love Christmas. When I’m in here on the days we’re closed. I have my headphones cranked up, and I’m sitting at the bench making my jewelry (preferably things for the cases and not custom jobs). When I am working on a special piece for inventory using a beautiful gem stone as the starting point. I’m currently hooked on opals. After the store has closed, at my bench, uninterrupted I am a machine! First thing in the morning when I’m all alone. No customers and no phone calls. e Evenings. I’m not a morning person. That’s why I got out of architecture and into a jewelry store. I get to go to work at noon. All the time. I absolutely love what I do, no matter what! *Most jewelers are early birds by a ratio of more than two to one over the “all dayers,” and four to one over the afternooners. Other activities that fully engaged jewelers covered just about every part of being a store owner from doing difficult appraisals, to helping staff improve and — surprisingly (to us, at least) — meetings. Three jewelers said that’s when they were most “in the zone.” We want to go to their meetings. COMMENT: There’s nothing like an economic recovery recession to lift the spirits. American jewelers showed they are more satisfied with both their business and personal lives than when we last asked this set of questions, in 2010. The averages then were 7.7 and 7.3, respectively. To be sure, nobody knows what the future holds, but we can say with some confidence that it promises to be an exciting time for jewelers. Millennials, social media, changing retail systems … there’s so much to learn and master. Here are our jewelers’ thoughts on the fun that lies ahead. 42. What demographic trend do you think will have the biggest impact on your business in the next 10 years? COMMENT: Store consultant Kate Peterson, president of Performance Concepts, thinks many jewelers view millennials the wrong way. “It’s tempting, based on media hype, to point to millennials as the great hope or as the great demise of our business. In reality, it’s all of the other categories within this age range — millennials who are middle class, who are higher earning women, who are minorities — that combined will impact our industry most significantly in the short-term future,” she says. 43. For you, what’s the biggest challenge when dealing with millennials as customers? They don’t seem to care for jewelry. They don’t respond to traditional advertising. They don’t seem to have any money. They want to customize everything. 44. What do you think will be the next breakout category in jewelry? 45. At about what age do you plan to retire? 46. Do you have an exit plan? I plan to pass/sell my store to my children. I plan to retire and have a GOB sale. I plan to put the store on the market. Sell a portion and keep a stake as an income generator. 47. What’s the current state of your retirement plan? I’m pretty short of where I need to be. I don’t plan to retire. COMMENT: These figures indicate that 52% of respondents planned to retire after they turned 70 or never. “That is frightening,” says David Brown. “I believe them inasmuch as they have little hope of retiring before then but that’s not a plan, that’s a hope … and a dangerous one.” Brown urges jewelers who have yet to formulate a serious exit strategy to get more business-minded. 48. What age group of customers is your primary target? COMMENT: Ken Gassman questions why so few jewelers target those in their 20s — prime engagement years. “Customers in their 30s and 40s don’t spend as much on jewelry as 20-somethings and shoppers 50 and over,” he says. 51. How would you rate the outlook for the following? COMMENT: It’s been a tough year for jewelers amid industry turmoil and economic uncertainty. And that’s reflected in their confidence levels. Last year, the most common response to the 2 questions about the future for their stores was “very optimistic,” a 10 out of 10, by 25% of the jewelers in each case. Social media is still very much new territory for many jewelers. 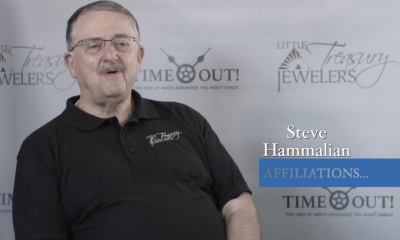 In the following section we sought to gather numbers that would enable you to gauge your efforts against those of your peers, and allow us to get an idea of just how many customers independent jewelers were reaching with their marketing efforts. 52. What’s the open rate of your email blasts? COMMENT: According to Constant Contact, one of the top providers of email marketing services to small businesses, the average open rate for a brick-and-mortar retailer is about 18%. 53. How many trunk shows do you hold a year? 54. What proportion of your Facebook posts include product photos? 55. How often do you personally contact each of your VIP customers? 56. How many customers walk in your door every day? 57. What’s the total number of people who follow your online/social media efforts? 58. How often do you post on Facebook? 59. Average number of likes or shares for a typical Facebook post? COMMENT: Since the beginning of 2015, Facebook has stepped up its efforts to filter out unpaid promotional material in user news feeds unless there is significant “engagement” with the fan base. And the best way to build engagement is … images. Which jewelers seem to understand going by the answers to Q. 54. 60. If you keep a database of client records, what data do you keep? Personal notes – occupation, children’s activities, etc. 61. What proportion of customers who say “I’ll be back,” do in fact come back? COMMENT: “Ah, we are so easily deluded,” says sales trainer Kate Peterson, casting doubt on some of the high return rates. “We remember the ones who do come back — but we tend to forget about the ones who don’t!” A proper traffic count can be very revealing. Tom Peters has a line of advice that goes: Excellent firms don’t believe in excellence — only in constant improvement and change. And that’s what the Big Survey is all about — comparing and finding little areas where you can get better. Here are some more of those areas. 62. What do you feel is the best use of your time? COMMENT: It’s vital the owner take a lead in selling, but the answers here (and to Q. 30) suggest selling dominates too many jewelers’ efforts, said David Brown. “It also means they probably don’t do enough to ‘manage’ their business, because they’re working in it not on it.” Kate Peterson was alarmed at the low “coaching” number. “That’s really the primary role of a leader in any business,” she said. 63. How often do you hold sales meetings? 64. POP QUIZ: What kind of manager are you? 65. For your big goal in 2016, which financial indicator will you use? COMMENT: Kate Peterson expressed surprise more people didn’t opt for margin income. “You pay your bills — payroll, rent, utilities … everything — with gross margin dollars, not sales dollars,” she said. Meanwhile, Ken Gassman is a fan of turn, not only because of how it impacts earnings, but customer appeal as well.“If you don’t give customers a reason to keep coming back to see new goods, they won’t be back,” he says. 66. What techniques do you use in your staff training? 67. Which question do you think is most important for you and your store to answer? 68. Membership in what social or community group has yielded the biggest benefit for your business? 69. What’s the best niche market you’ve come across in the last few years? ➤ Well-established couples who have commitment jewelry but are looking to upgrade to “real” jewelry. This has been helped by the legalization of samesex marriage. Many lovely couples who’ve shopped with us for years are finally getting really special bands! ➤ Athletes! I’m an avid outdoorslady and I have made several connections with others who appreciate finer things in life. ➤Geeks! We have more fun working with role-players and video-gamers. They tend to have great jobs but are introverts until they realize they are in good company. We make the most outrageous designs for the best profits with geeks. ➤ Fans at baseball games. We give away a watch at the beginning of every game. It’s really started to pay off the past two years. ➤ Resorts in the area need someone to entertain their guests. We fit the bill. We send an employee to set up a table of jewelry in the lobby. 70. What was the last business experiment you ran? ➤ Raising repair prices — no one complained a bit! ➤ Changing the pay for salespeople from salary to commission. So far it has not made a difference at all. Probably don’t have the right salespeople. ➤ We got rid of the penny. In discussions, people are very emotional about the little penny, but when we stopped using them, no one noticed at all. ➤ BOGO vs. 50% off Estate sale: Several hundred items cleaned up from trade-ins to scrap purchases. 10-day sale to move the stuff out the door. Worked very well! ➤ 50% off sale on engagement rings. Terrible results. ➤ Tried a flash sale. ➤ Free watch battery coupon put in giveaway bags in another town. ➤ I marked everything up to have a big sale with a high percentage off. It worked. I hate it. But it worked. ➤ Donated to local school sports, where they run your business card in their “Sports Guides.” Got almost zero response. ➤ Selling unique products on Amazon e Went along with other merchants on our Main Street with later hours on Thursday evenings — a waste of time and utilities. ➤ Allowing full credit for gift cards from other places toward jewelry in our store (was a failure). ➤ Started asking if new clients were referred. ➤ EDDM — Every Door Direct Mail. Targeted one neighborhood of 500 with $500K house value. Spent three months sending a postcard every two weeks: $2K investment for a $26K return. Nice experiment. 71. What was the most rewarding business mistake you ever made? ➤ Going bankrupt — Chapter 13. Reorganized the business. Repaid everyone. It made me a better businessman. ➤ Making an item by hand that I had been casting (ran out of wax and was in crunch time): Cut production time in half and quality up 200%. ➤ Hiring an experienced salesperson who was not very good. After we let him go, we focused more on personality than experience. ➤ Being human with our clients instead of a machine. Dropping the F-bomb once in a while breaks a lot of their nervousness and stuffiness … if you can pull it off. ➤ Losing a customer because something wasn’t ready. I now do everything I can to be sure I underpromise and over-deliver. ➤ Spending too much money on new products. I had a very difficult year paying my bills and the new lines did not pan out. Now I watch every dollar I spend, now matter how good business is. ➤ Hiring an associate on the spot. Bad practice, great result. ➤ I showed the husband of a frequent browser the wrong ring on her wish list. He bought it. She loved it, kept it and sent her husband in to buy the other ring originally on her list. ➤ Ten years ago spending $25,000 to buy into a silver bead line. What was I thinking? Turned out to be a great investment: Pandora. ➤ Sending gems to company in Thailand for cutting — got back tiny well-cut gems too small for my purposes. Ended up selling them all to another designer for a good profit. ➤ Signing a 10-year lease and having to make the choice to close that same second store and pay a $65,000 penalty. Business tripled and less stress. ➤ Mis-advertising a clearance sale. Said everything was half off instead of “selected” merchandise was half off. Cleared a lot of stock and I think I had more of a response — more customers in. ➤ Signing a contract I didn’t read. ➤ Opening a restaurant. Think the jewelry business is tough? If there were two things you wanted to know about that jeweler down the road, we’d guess they’d be: What’s he make? And, How much is he paying his staff? Here are some figures from around the country to give you an idea. 72. As the store owner, what was your compensation (salary + profit share) last year? 73. How many full-time employees do you have? 74. How much did your store’s top salesperson sell last year? COMMENT: A salesperson generating hundreds of thousands of dollars a year in sales is obviously good. But to get a true reflection of their worth to the store, you need to compare their sales to their earnings, says David Geller. “Divide their pay by their sales to see what they cost out of every sale dollar. Around 8%, they are very efficient; closer to 13% to 15% they are inefficient,” he says. 75. Which staff position is hardest to fill with qualified people? 76. How many of your staff do you think would leave for a 15 percent pay increase from another store? 77. What question do you like to ask job candidates? ➤ Sell me this stapler. (To test their sales skills. Also, “Sell me this pen.” “Convince me to buy the house next door to you”). ➤ What is your favorite household chore and why? ➤ What’s your closing rate? ➤ How do you greet a person who walks in the store? ➤ What do you see yourself not doing five years from now? ➤ Were you ever a babysitter? ➤ If a customer comes in with a return that is well beyond the 30-day period, what do you say? Big Survey: How Many Women Make More Than $150,000 in Retail Jewelry? Manmade Diamond Legal Quiz: Can You Do Better Than the Jewelers in the 2018 Big Survey? Big Survey: How Many Hours Do Jewelers Work Per Week? For the most part, men are the higher earners. FOUR IN 10 independent jewelry stores in America are now run by women according to the 2018 Big Survey. However, for the most part, it is the men who continue to be the highest earners, with 80 percent of the jewelers making $150,000 or more a year being male. A part of this discrepancy can be explained by the fact that many of the women owners and managers are relatively new to the industry and their stores have yet to reach the scale that rewards their owners so handsomely. In 2009, the first time we specifically asked about gender, the split between male and female owners was 65/35. It’s also undeniable that women face bigger hurdles in business, whether it’s accessing credit, being accepted in business networks or just operating in a still male-dominated field. Having said that, the women jewelers in our survey are doing well. Forty-three percent of the jewelers who said they’d had their best year ever since 2016 were women, suggesting they are outperforming their male counterparts. As the Store Owner, What Did You Earn (Salary + Share of Profit) Last Year? What Is It Your Gender? COMMENT: The number of women owners or managers has been steadily rising since we started doing these surveys more than a decade ago. The first time we specifically asked about gender, in 2009, the split was 65/35. For the record, 43% of the thriving jewelers were women, suggesting they are outperforming their male counterparts. That said, it should be noted that male-owned stores overall tend to be older and thus the owners are often comparing those last two years against a historical record that goes back decades. ON JULY 24, the Federal Trade Commission’s jewelry guidelines were revised to include laboratory-grown diamonds in the commission’s definition of diamonds. The descriptions in orange are fine, based on the FTC guidelines, while those in red are not. How did you do? More time at work doesn’t always spell success. CONVENTIONAL WISDOM SAYS there should be a direct correlation between hours worked and performance. But the 2018 Big Survey failed to find such a clear link. The takeaway? Working smart and other variables like being in an economically strong part of the economy matter more, because when you look at the numbers, just about all jewelers work hard. To be sure, the strugglers in our survey (defined by those who said one of the last two years had been their worst in business) tended to be over-represented at the “fewer hours” end of the band, but they were also among the jewelers putting in the longest hours at the other end of the spectrum (16 percent of the strugglers were working more than 60 hours a week compared to 12 percent for the thrivers). Overall, just about everyone was working hard: 58 percent of the respondents to the 2018 Big Survey, which attracted the participation of more than 700 independent jewelers, reported working more than 45 hours a week.